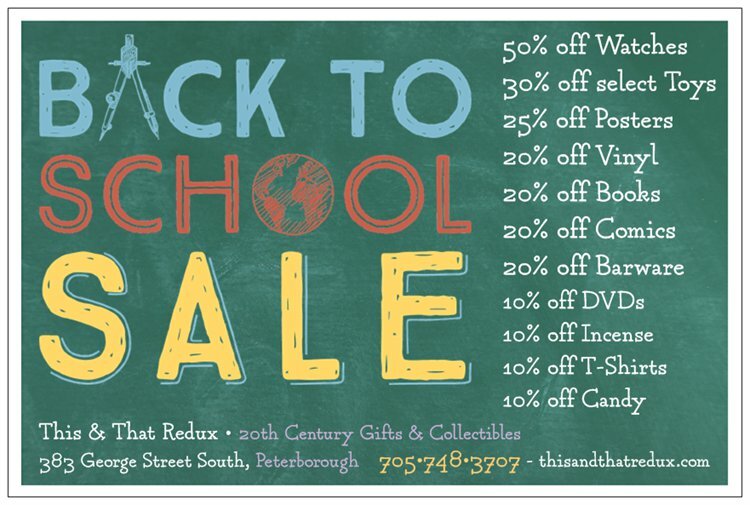 This & That’s Back to School sale is now on! Save up to 50% on back-to-school essentials like vinyl records, posters, barware, jewellery, comics, incense, vintage toys and candy!! New stock has just arrived and we are bursting with great stuff at even more amazing prices. Stop by and check out what’s new and grab a great deal today. ← Incense & Oils now available!